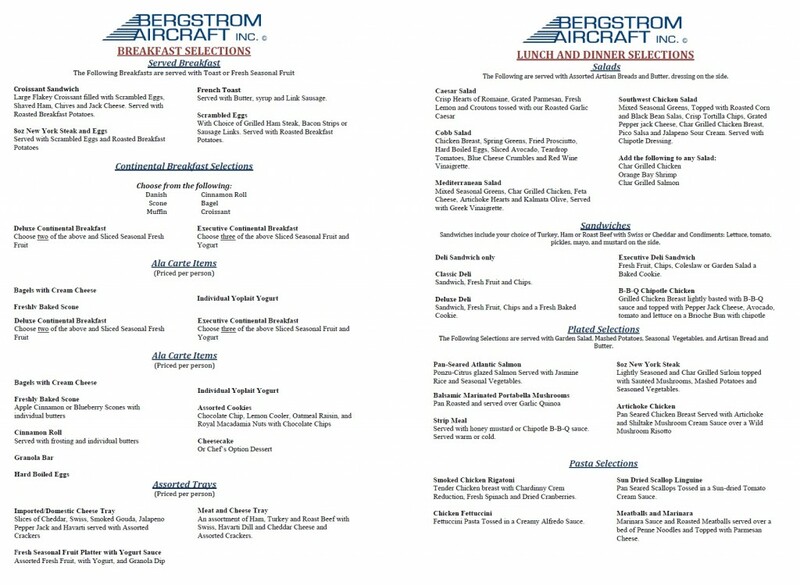 ﻿ Catering | Bergstrom Aircraft Inc.
We have a variety of caterers that we partner with so we can meet your catering needs. We offer anything from boxed lunches to platters for breakfast, lunch and dinner. We are here to make your visit a memorable one, just let us know what you desire! 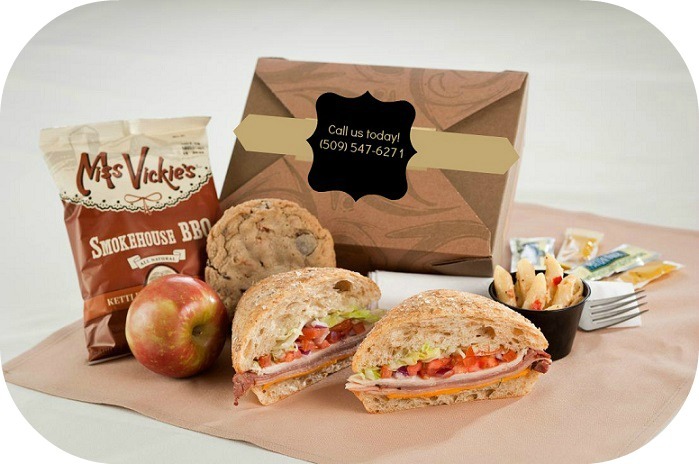 catering to meet your needs.